Recently, CCGrass installed the football training field for Olympiacos CFP (Club of Fans of Piraeus), a professional Greek football club. Both the clubs’ players and staff are highly satisfied with the product, as Olympiacos CFP is dedicated to providing its players with the best turf pitches to meet high-intensity training requirements. This football pitch, equipped with CCGrass Stemgrass, is a breakthrough for both Olympiacos and CCGrass. For Olympiacos, a synthetic surface allows players to train year-round, even in winter. 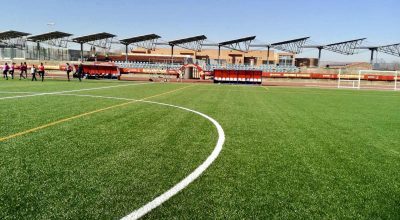 An artificial surface also ensures that a pitch can withstand stress from more intensive training. In addition, artificial turf is easier and less expensive to maintain than natural turf. The Olympiacos staff are highly satisfied with the natural look, comfortable feeling and excellent installation of their pitch. 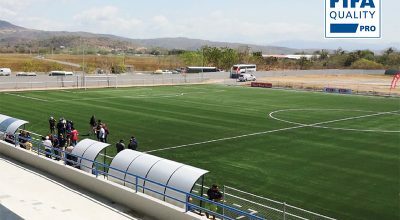 After training on it, players highly praised its high quality and performance. CCGrass is very proud to be the supplier for Olympiacos, a world-class football team, and continually strives to provide the best artificial turf products for a number of sports. 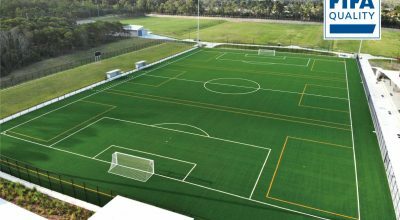 CCGrass is also proud that Olympiacos recognises and appreciates CCGrass’s FIFA Preferred Producer qualification, and chose CCGrass football turf system for its FIFA 2 star training field. 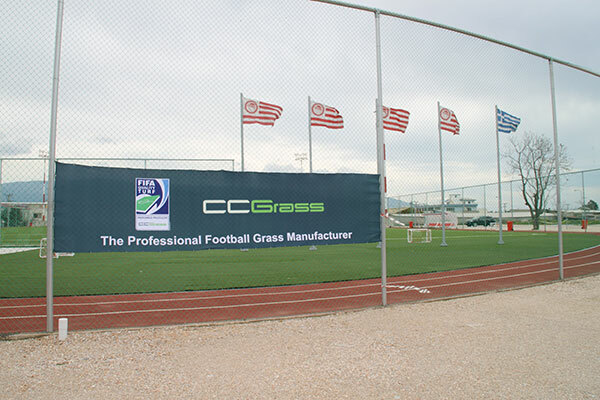 The trust and support of Olmpiaco CFP inspires the firm to create more and better products for professional sports fields.